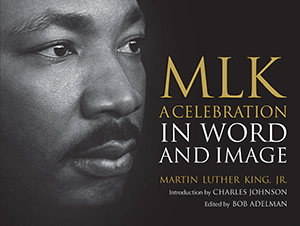 This treasured collection includes images by legendary photographers such as Henri Cartier-Bresson, Bob Adelman, and Flip Schulke, and is an unparalleled photobiography that presents intimate moments from King’s personal and public journey. We see King in all his manifestations-as a new father and doting husband, as a civil rights champion leading racial protests, and as a charismatic speaker preaching electrifying sermons. Triumphant events like King delivering his “I Have a Dream” speech and marching in Montgomery are beautifully captured, as are private moments of him reflecting on his Nobel Peace Prize or working in his study. The answer to that question can be found in the fact that during his thirteen-year public ministry and world-transforming journey from Montgomery to Memphis, Dr. King was not only a powerful agent for change but always changing himself, ever seeking to improve and refine his vision, though people have a tendency to freeze the process of his journey into a single conceptual frame, or to cherry-pick whatever they prefer to highlight about his life. Liberals and conservatives alike, Democrats and Republicans, Louis Farrakhan of the Nation of Islam, and even pro-gun advocates in Washington State cite his words to support their vastly differing political agendas. To be sure, this is often the case with “world-historical” men and women who transformed the way we live and see the world. For example, Beck’s rally was held in the shadow of a White House occupied by Barack Obama, this country’s first black president, whose victory in 2008 is unthinkable without the impact King had on America. What we must remember is that while there is unity, coherence, and consistency in King’s vision, his social philosophy evolved through three stages during his political and spiritual odyssey. As the dramatic and now iconic images in this book by esteemed civil rights photographer Bob Adelman and others demonstrate, King in that first stage is a newly minted PhD, a twenty-six-year-old idealist, a husband and father holding down his first job as pastor at Dexter Avenue Baptist Church when he is thrust into leadership of the Montgomery Bus Boycott by the courageous refusal of Rosa Parks to acquiesce to segregation. In that battle, and in so many others that followed, culminating in the electrifying Birmingham campaign and legislative triumph of the Civil Rights Act of 1964, he places his unique stamp on black America’s 336-year-old liberation struggle by emphasizing, in Gandhi-esque fashion, the importance of nonviolent civil disobedience and that our ultimate goal should not be desegregation of lunch counters but instead the realization of a “beloved community.” Equally important as nonviolence and integration for King is the idea of agape, our strength to love. In this period, he emerges as that rarest kind of revolutionary, one demanding that whites live up to the ideals proclaimed in their most sacred, secular documents (the Declaration of Independence and Constitution) and that black people lift themselves to new levels of excellence in character and moral perfection. Despite violent attacks from whites and blacks, despite the days he spent in jail, where he composed “Letter from Birmingham Jail,” one of the most important political documents in American history, King’s sacrifices and leadership hastened the end of this country’s version of apartheid. Some felt he should stop at this stage, after his soaring “I Have a Dream” speech, and quietly return to his life as co-pastor in his father’s church in Atlanta, or perhaps accept a position as a college president. But when King received the Nobel Peace Prize, he was thrust onto the world stage, and entered a second phase in his development. He reflected deeply upon, and then fully embraced, the implications of nonviolence as a way of life for both individuals and nations, and upon his own new role as a global ambassador for peace. Logically and inevitably, his commitment to the “beloved community” encompassed the entire planet, transcending national boundaries. Click here to watch an interview with Bob Adelman on CBS News, which aired on August 24th. Click here to watch Beacon's new video featuring "I Have a Dream".